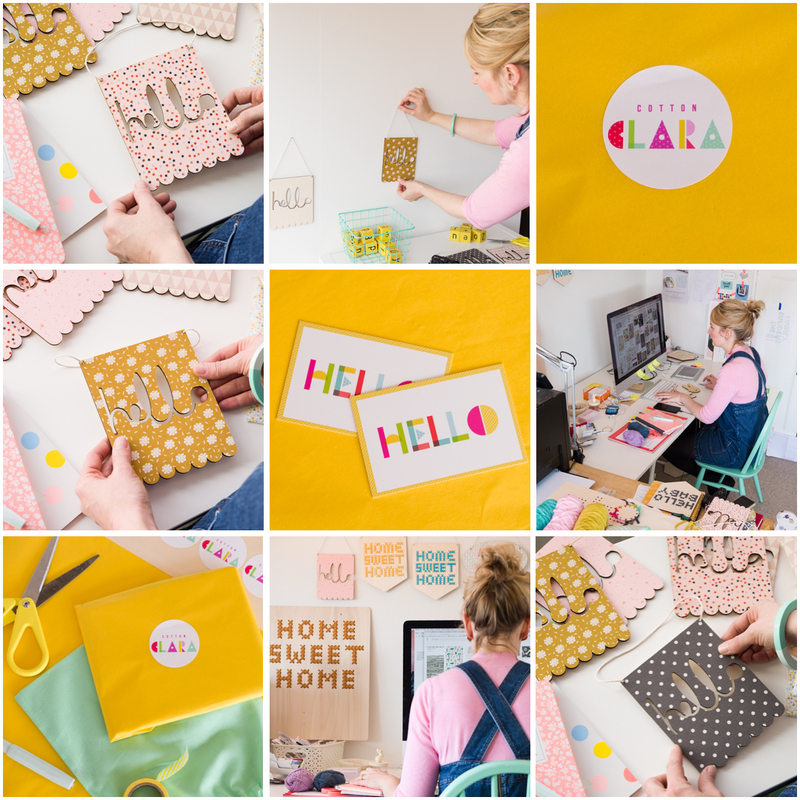 This is my first ‘Women in Business’ post featuring Chloe Hardisty from Cotton Clara. I really enjoy working with people and businesses to create imagery that aligns with their brand and strengthens their presence in the marketplace. Chloe needed some new business branding and product images to use across social media platforms and her online retail stores at NOTHS and Etsy. 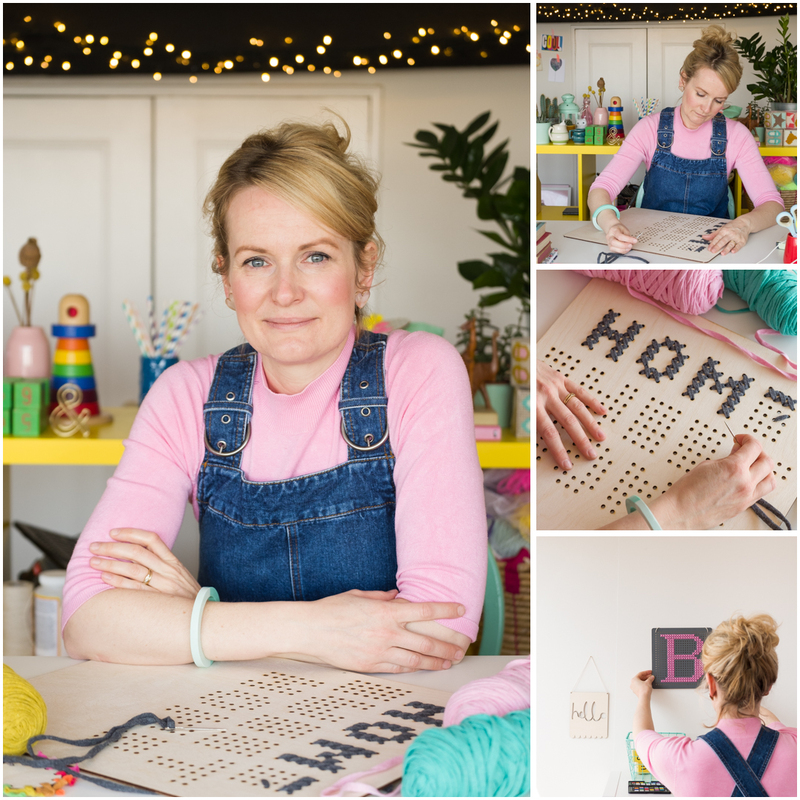 She also has a fabulous, inspirational blog and is a regular contributor to Mollie Makes and Reloved magazines. Before the shoot, we discussed various ideas so that the style and feel of the images would be just right. 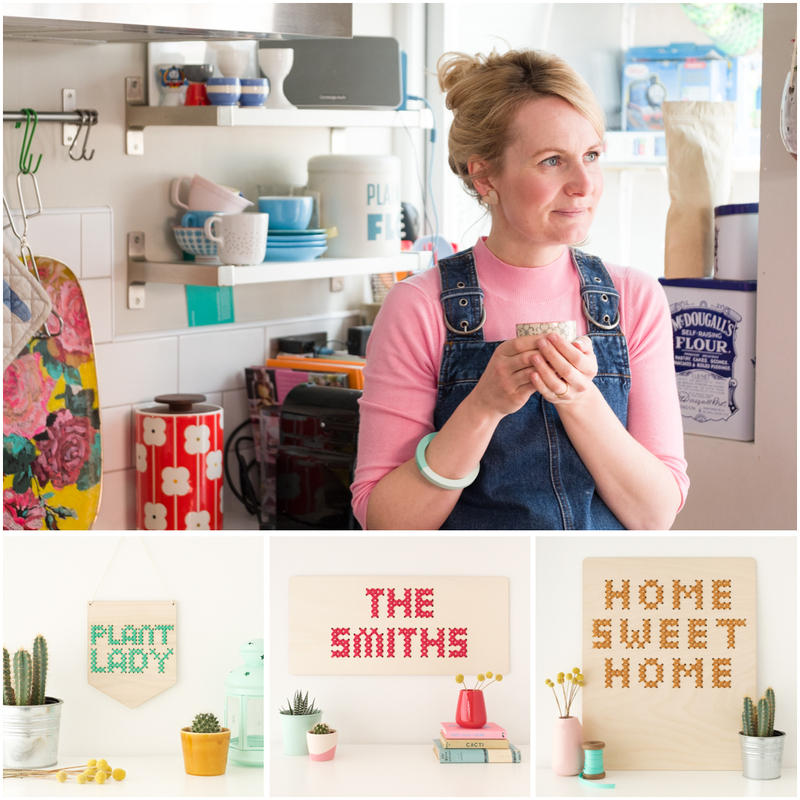 We decided to go for a relaxed, editorial style that showed both her work environment and her home too. I wanted to use the beautiful, natural light coming in through the studio window for Chloe’s portraits. 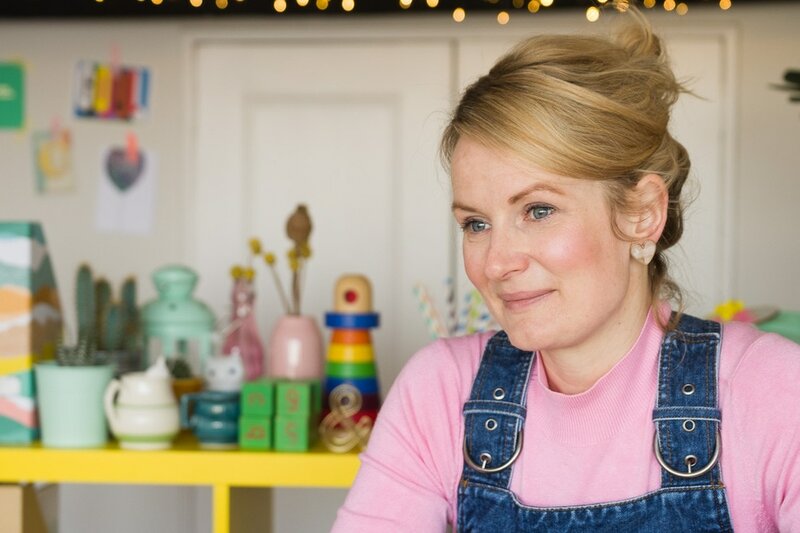 Her workspace is really vibrant and full of colourful products, props used for styling and so many sources of inspiration. Photographing Chloe here would show her customers who she is, how she works and the vibe and feel of her brand. Talk about your business and what you offer. Be able to articulate this clearly – you might think it’s obvious but it may not be so clear to others looking in. Talking to others will accelerate the process of refining your brand and business offerings and you’ll be able to home in on the important aspects of your business much quicker. Take your product and services out there and get people interacting with them so you can refine things. Keep re-evaluating and refining what you do. Have a plan, a detailed plan! My business mentor helped me realise where the gaps were and that I needed a detailed plan of what I wanted to achieve. Allow others to ask you difficult questions. My graphic designer did this as she guided me through a re-brand process and I was then able to focus on the direction I wanted to take my business in. She really grilled me about colour, style and what I wanted my business to be about! I found Fiona Humberstone’s book How to Style Your Brand invaluable and I would recommend this if you’re wanting to explore how to define your brand and communicate it effectively. There are loads of useful resources on her website too. Chloe is approaching a really exciting time as she goes full time with Cotton Clara this September. She is definitely one to watch and is always bursting with new ideas and plans so be sure to check her out! 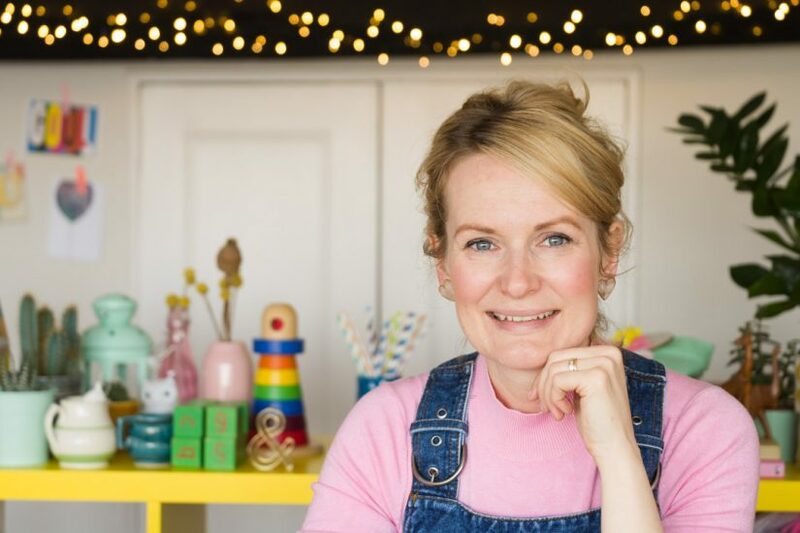 If you need some fresh images for your own business I’d love to hear from you, so do get in touch for a friendly chat and we can create some beautiful images that really show the essence of you and your business. Really lovely photography Ruth! I’ve thoroughly enjoyed working with you on Seed Home Designs and you’ve definitely helped me to feel more confident in my brand simply by having beautiful photography taken by you. Thank you Lindsay, glad you enjoyed it!